The cyst was successfully removed but caused bells palsy. You see the thing is the surgeon and aesthician gave me an overdose of the markaine injections which damaged my facial nerves and resulted in Bells palsy. I didnt think my wedding would take place this year. Half of the right side of my face was paralyzed, i was ashamed to resume work, i thought my fiance would leave me, but ken held on and loved me even more. He told me regularly i was beautiful even though my mouth was bent and my eye was wide opened.I started physiotherapy after the wound healed and now my face is almost back to the way it was. Its not perfect yet, but i know it will be. I did my introduction some weeks ago and i am positive my wedding in december will be successful.who knows i might be featured as one of the beautiful brides on Bellanaija..i deserve to Win this because Love brought me back to life. God’s love and Ken’s. The Henna Place and BellaNaija Weddings have something for you this season. Tell us in the comment section why you deserve to be the lucky bride to get the prize. 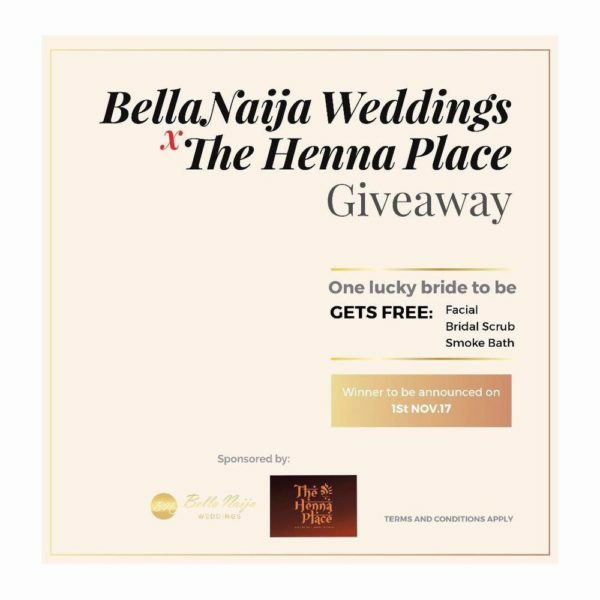 Competition is for BellaNaija brides-to-be based in Lagos. 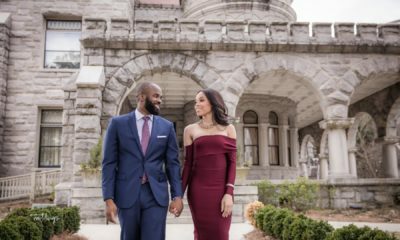 Your wedding should be taking place between now and December 2017. The most compelling response will be chosen as winner. The cyst was successfully removed but caused bells palsy. You see the thing is the surgeon and aesthician gave me an overdose of the markaine injections which damaged my facial nerves and resulted in Bells palsy. I didnt think my wedding would take place this year. Half of the right side of my face was paralyzed, i was ashamed to resume work, i thought my fiance would leave me, but ken held on and loved me even more. He told me regularly i was beautiful even though my mouth was bent and my eye was wide opened.I started physiotherapy after the wound healed and now my face is almost back to the way it was. Its not perfect yet, but i know it will be. I did my introduction some weeks ago and i am positive my wedding in december will be successful.who knows i might be featured as one of the beautiful brides on Bellanaija..i deserve to Win this because Love brought me back to life. God’s love and Ken’s. Hello BN, I’ll be getting married in December. I unknowingly bought a bottle of fake facial moisturizer from a shop and by the time I realized it was adulterated, my skin had reacted badly to it. Still recovering from the spots. I believe the facial from Henna place will help a great deal and the scrub will make my skin glow for my big day. I have heard great reviews of the Henna place and I hope I’ll be next to give a review. Hello BN, after reading both comments above, i think sarah should win the prize. I am getting married next year January so i do not qualify for it. Hopefully my wedding gets featured. 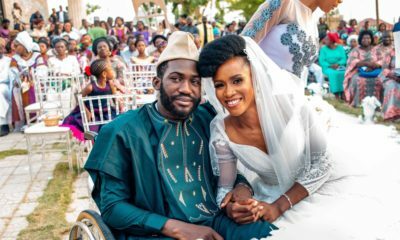 Your blog has done a lot in helping me get vendors for my wedding, i really appreciate what you guys are doing on the platform. 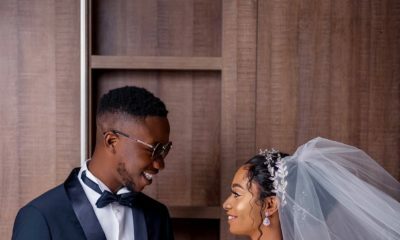 Hi Bella Naija, i will be getting married 1st week in December, i have been battling with cystic acne for 4-5 months now. i have suffered serious dryness as a result of topical treatments i have been applying. i believe the facials will help calm and clean my pores and help reduce sebum production. am hopeful the acne will be completely gone before my wedding after the facials. i have been emotional depressed because of this so the bridal scrub and smoke bath with help ease my tension and make me feel beautiful once again. Thank you Bella Naija for this great opportunity. Me and my fiancé have been together for five years but apart for three years. We have seen just thrice in three years. We are getting married in December and I want to look perfect and glowing for him when he sees me. He is arriving a week to the wedding. I have never really been to a spa and my oh my I am stressed from the wedding and I can’t even afford a spa treatment cos I’m over the budget for the wedding! Id really appreciate this. But if I don’t win this please I am rooting for the lady who had the cyst operation…. Hello BN. My wedding is holding December 23, 2017. First of I want to use this medium to appreciate my best friend Busola. She’s got my best interest at heart ?. I will actually love to win this for her. My birthday was September 25 and she really wanted to gift me a spa session to make me look and feel beautiful for my big day but unfortunately she lost her job before my birthday so I told her to forget about it. I will still feel beautiful as long as I have her with me. I know she really wanted this cos she sent me this link to enter for this giveaway. It will be amazing to win but I have read some amazing posts before mine ??. I wish all participants the best and thanks again BN for always bringing these amazing giveaways ?. Sigh!! The answer to my prayer. I am one stressed out bride . From planning to making my own outfits and everything in between. I have breakouts and my back hurts from hours of sewing. Please I deserve to win. I want to look my best in time for my big day. P.s I am getting married on my birthday 26th of November 2017. #delayisnotdenial. May Allah give us spouses that would complement us. Mon marriage est dans 4 mois en guinee Conakry, je voudrai savoir si vous avez des prestataires de service ici a savoir la decoration et tt cki peut render mon marriage le meilleur.